My grandfather [the Baal Shem Tov] said, "He who studies (שונה) a subject one hundred times cannot be compared to he who does so a hundred and one (Chagigah 9b). 'A hundred and one' means that a person's Torah studies must be imbued with the One - the Master of the Universe." When the עַם, the Jewish people יֶשְׁנוֹ, learn Torah lishma, they bring the אֶחָד, the One into their learning; at that very instant repairing all the worlds and arousing blessings to descend. Beautiful. Yashar Koach and a Freilichen Purim! 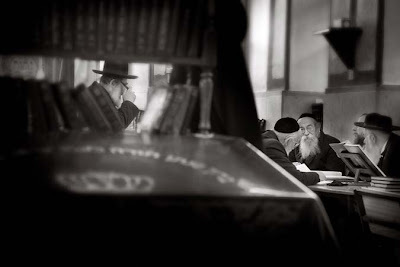 Boruch shenasan lanu tzadikim kzeh.